I am here with DC Mills of Vials of Wrath. We are going to talk about the band and what is going on with DC. Thank you for taking time to do this interview, DC. Let’s begin with discussing how you got started in the Christian music scene. What bands have you played in? First, I want to say thanks for considering me for this opportunity. I always appreciate the interest in my music! My first experience with playing Christian music was actually in the praise & worship team at my local church several years ago. I really enjoyed it, but felt like it wasn’t my “true calling”. Through a mutual relative, I was connected with David Whichard, who plays bass for Bloodline Severed. They were looking to add a second guitarist and to go a little heavier with their style. After they learned about my past and my desire to play heavy Christian music, it was a perfect match. They are pretty much the only long-term Christian band I’ve been in. What was the reason behind you leaving Bloodline Severed? It was more of a sudden change in my full-time job situation that led me to leave. After selling my home in North Carolina, my family had the opportunity to move to Tennessee, which we had always talked about doing. However, had I not moved, I would probably still be in Bloodline today. I see you started a one man project called Vials of Wrath. When did this get started? What is behind the name Vials of Wrath? I’ve actually been in Bloodline two different times. After my first three-year stint, I took a break to focus on my graphic design work. During this time, I still wanted to write and produce music that was closer to my own influences than what Bloodline Severed was doing. I starting putting together a modest home studio in the Fall of 2009 and began studying music production in my spare time. 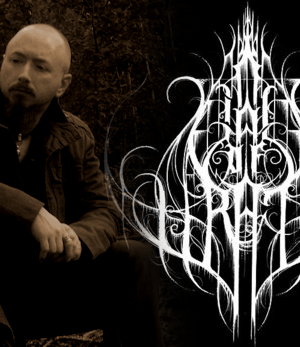 Once I had the basics, I recorded a few songs under the name Vials of Wrath – inspired by other one-man metal bands such as Burzum, Xasthur and Leviathan – although with lyrics from a Christian perspective. I wanted the name to to reflect that as well, but not too obviously. It’s taken from Revelation 16:1 – “And I heard a great voice out of the temple saying to the seven angels, Go your ways, and pour out the vials of the wrath of God upon the earth.” At the time, I was heavily into end-times prophecy and God’s judgment, so the name really appealed to me. 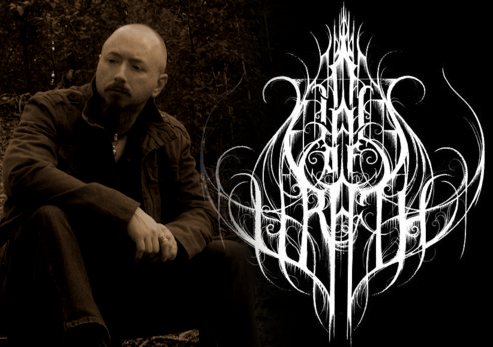 How would you describe Vials of Wrath music? Currently, I would say it’s nature-inspired extreme metal that seeks to glorify the Creator and not the creation. I’ve listened to lots of other bands that achieve a sense of atmosphere – especially within the black metal genre – that I’m continually striving for. Originally, Vials of Wrath was going to be much more aggressive in style, but soon after releasing my first EP, I realized I wanted to incorporate some of my later influences. My pre-Christian band sounded very similar to the EP, and to be honest I wasn’t too happy with it. So I began writing in a more experimental style (for me at least), with slower, acoustic passages and way more focus on atmosphere. The less polished and raw sound is much closer to the direction I hope to take with future releases. I tend to tell everyone it’s extreme Christian metal, although the common name being Unblack Metal. I have mixed feelings about this term, because it’s the topic of much heated debate. It’s definitely Black Metal in style, but with Shoe Gaze (or Black Gaze, as I’ve seen it called) tendencies; but Christian metal first and foremost. Most of my influences come from my pre-Christian days musically, as that’s when I started seriously playing and writing music. Also because there were simply not many Christian artists out there playing this style – there still aren’t that many in comparison to the secular scene. Having said that, I would say my influences range from early Burzum, Agalloch, Drudkh and Borknagar, to newer artists such as Alcest, Les Discrets, Wolves In The Throne Room and Falls of Rauros. However, none of these bands are Christian, so I don’t recommend listening to them unless you are strong in your faith. While they are not satanic, some are nature oriented (even pagan) with their lyrics. I respect them as artists musically, and disregard the lyrics as much as possible when need be. Of course, Antestor, Crimson Moonlight and Horde are some long-time favorites in the Christian scene. What is your songwriting process for the new album? I mostly write in small pieces; a riff here and there, a short melody that might come to me when out hiking or driving around the mountains. One of the reasons I chose to move is the scenery and inspiration of living a more rural life with my family. Once I nail down a few sections and get the flow right for a song, it usually takes off from there. I don’t know about how other artists write, but when a song comes to me, it’s often overwhelming. I immediately hear all of these instruments in my head – like there is a fully finished song already being played, it just needs to be recorded! As of now, I have several new songs underway that, once finished, will be released via a couple of compilations first, and then later on a full length, along with a possible split album. I see you have a new cd out called Seeking Refuge that came out this year. How has the response been in the black metal scene to the new album? It’s been great! I honestly didn’t expect it to be so well received. Seeking Refuge is the culmination of nearly two years of writing and recording – trying to achieve the sense of atmosphere I mentioned earlier. I get comments daily on how much people are enjoying the album, and asking when a follow-up will be released, which is humbling and encouraging at the same time. The first pressing of the album is pretty much sold out. There are very few copies available out there, so a second pressing may be in the works for all of those who still want a copy. How do the new songs differ from your older material? The change in vocal style is the most noticeable difference. After that, there is a definitive change in guitar. It’s still aggressive at times, but not as much as the older material. There is much less single note, “Gothenburg” style riffing and Death Metal influence; much more tremolo, full-chord patterns reminiscent of traditional Black Metal. Ambient acoustic guitars take center stage at several points, with an almost drone-like quality to them when backed by keyboards. The sound effects scattered throughout the new material is also very much an integral part to achieve the atmosphere, and I personally recorded several of them near my home. Talking about older material… You recently re-released ‘Let There Be Light’. What was the reason behind this? There were still a lot of fans wanting to get a copy of the original EP, which was out of print. There were only about 50 copies made, I think, so when an opportunity came about to reissue it I thought it would be a good idea. The title came from my original idea of introducing the light of Christ into the dark scene of black metal, as well as being from the book of Genesis. The songs were remixed and mastered, and two bonus tracks were added to make it worth picking up. Black Metal Underground Records is your new label, what is the story behind it? They were the ones who approached me with the idea of re-releasing the original EP. They were just starting out, and Let There Be Light was one of their first releases. The owner has helped me tremendously from the beginning – all the way back to the original EP – so I was more than happy to let them do it. How can people contact you to find out more information on the band and label? For now, Facebook is the main way to get updates and contact me (https://www.facebook.com/VialsOfWrath), as well as the label. I can also be emailed at VialsOfWrath@yahoo.com. MetalHelm.com is carrying some sweet V.o.W. merch, particularly a shirt I’m really fond of designed by Aaron Bartling of Narrow Path Designs. Thanks again, DC, for taking time out for this interview. I know we tried to cram a lot of information into a short interview but do you have any parting comments? Thank you! Just want to say how much I appreciate the support. I’m amazed at the positive response this project has gotten so far, and I hope to continue for as long as the Lord wills it.